Arrive at Tambulaka Airport in West Sumba, meeting service with our guide and transfer to Manandang Hotel. Check in at Hotel then take a lunch at local restaurant. 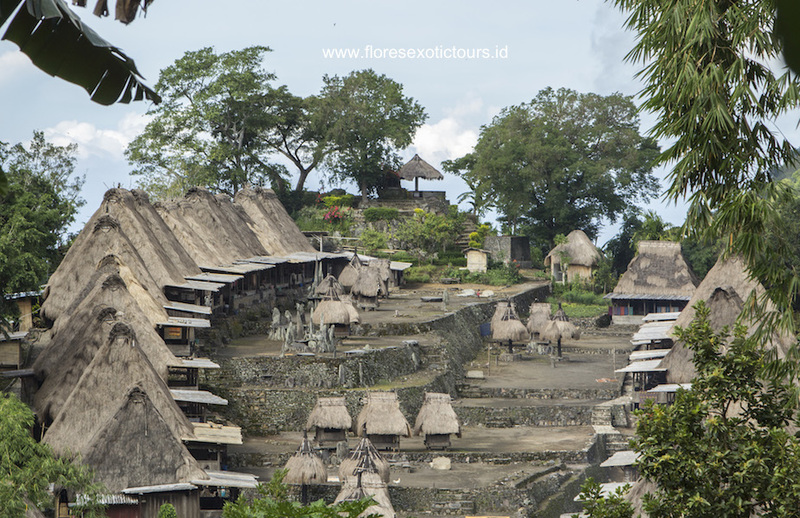 in the afternoon drive to Waitabula to visit Sumba cultural houses and traditional market Return to your Hotel. Dinner and overnight at Hotel. Breakfast at Hotel, Drive to Kodi area to visit Tosi, Parona Baroro, Ratenggaro and Ranggabaki Villages, their houses have high roof about more than 10 meters. Lunch box will prepare on the beach. on the way back visit Waitabula coffee plantation. Dinner and over night at Hotel Manandang. Breakfast at Hotel, Depart to Wanukaka and Lamboya District, visit Waigalli, Prai Goly, Waiwuang and Waru Wora Village, these houses located on the hill with beautiful scenery of Indian ocean. Lunch box will prepare on the beach and relaxing. In the afternoon drive back to the Hotel. Overnight and Dinner at Manandang Hotel or Similar. Breakfast at Hotel, Departure to Anakalang, visit Pasunga with its Megalithic tombs build on 1926, continue to Lai Tarung, to see the hause of Marapu ancestor, in Galu Bakul Village you will see the Royal tombs of Anak Kalang King, Umbu Sawola. then continue drive to Mamboro Country side, stop at Manuakalada, Wawarongu and Tambera Village, your picnic lunch will provided on the way, during this trip you can enjoy the fantastic view of the rice field, green hill and Savannah with the back ground of Flores ocean. Afternoon return to your hotel. Breakfast at Hotel, transfer to the airport and flight to Ende, arrival in Ende Airport, Central Flores, you will be welcome and met by our guide. drive to Moni, located in the slope of Mt Kelimutu for about 2.5 hours drive from Ende. Photo stops will be made according to local happenings for panoramic view and local people activities. Dinner and overnight at Kelimutu Moni Eco Lodge. Departure at 4 am from Moni, drive by car to the parking area for 1 hour, continue on foot for 40 minutes to the top of Kelimutu Crater lakes, the best point to see three colored lakes. A Dutch geologist discovered Kelimutu in 1914, at the time the lakes were Red, Blue and white. Enjoy the sunrise (subject to weather permits) and enough time is given to walk around. Drive back to the hotel, After breakfast drive to Bajawa, on the way visit Saga traditional village, Ende town for lunch, Penggajawa blue stone beach. Dinner at local restaurant and overnight at Sanian Hotel or similar. Breakfast at the hotel, Depart from hotel, visit Ruteng Puu – Manggarainese traditional village to see their unique slander-shaped houses and be with local people. Then overland to Labuan Bajo, the Western tip of Flores Island. Lunch en route. On the way stops at Cancar to to see the spider web rice field and Lembor irrigation where you can enjoy the beautiful panorama of rice fields with lush and dry hills as the background, and other places according to local happenings. On arrival in Labuan Bajo direct taking dinner at local restaurant before transferring to the hotel for check in and overnight at Bintang Flores or La Prima Hotel. Breakfast at Hotel. Transfer to the pier of Labuan Bajo to get board on KLM.Fadaelo or KLM Ayla (based on availability upon booking). Then set cruising to Kelor Island for snorkeling and swimming. Lunch is served on boat while cruising to Rinca Island. Treks on Rinca Island start from the ticket office at Loh Buaya to Waewaso for about 2 hours, the best opportunity to see dragons and their prey, passes the dragon nests and out into the sunshine across an exposed savannah that is studded with lontar palms. and a permanent waterhole in Waewaso, across steep, exposed slopes that offer breathtaking views. Afternoon proceed to Kalong Island to see the thousands of bats flying out from their nets. In the early morning start cruise to Komodo Island. Disembark at the pier of Komodo Island, and trekking to Banu Nggulung, walk through the typical dry forest and you have chance to see the Dragons and other wild animals like Timor Deer, wild Boars and various birds such as lessers-sulphur-crested-cockatoo, collared kingfisher etc. A local ranger will lead you through this nature reserve. Afterward proceed to Komodo village to see local activities. Return to the boat for lunch while cruising continue to Pink Beach for swimming and snorkeling at un-spoilt coral reef among colorful tropical fish. Late afternoon continue to Bidadari Island. Breakfast on the boat and back to Labuan Bajo, arrive in Labuan Bajo, transfer to the airport or Hotel.